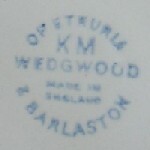 Economic clouds may well be lurking overhead, but we hope to be able to bring you a wide variety of exciting, fresh stock and news about British potteries over the coming year. 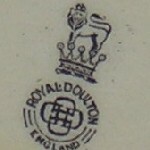 Admittedly, things haven't got off to a very good start with the demise of two great British pottery names - Wedgwood and Royal Doulton - but at the time of writing it seems likely that both brands will be purchased and kept on as going concerns. Looking at the wider antique and collectables market, reports so far suggest that fairs are seeing steady trade this year, especially at the better quality end of the market. Indeed, with house prices and interest rates falling, you could argue that there has never been a better time to put your money into quality antiques and collectables. We certainly seem to be living in interesting times; our very best wishes to all of you for the year ahead.